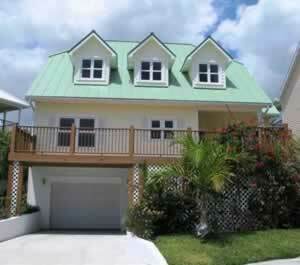 ﻿ Shoreline Development - Grand Bahamas Premier Gated Community. 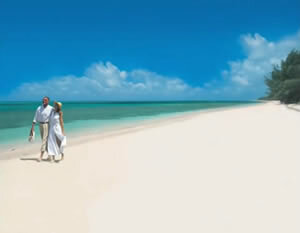 Shoreline is a place to walk the undiscovered white sandy beaches and reflect against the shimmering turquoise waters. 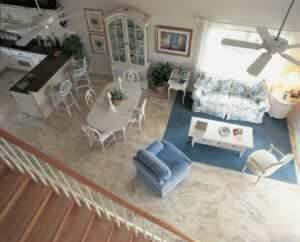 Amenities include an owner's clubhouse, a 2 lane lap pool, 3 tennis courts and a basketball court. 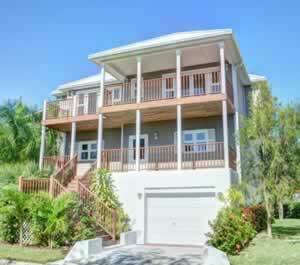 Grand Bahamas Premier Gated Community. Looking across clear turquoise sea on Grand Bahama Island’s Fortune Beach, Shoreline is a stunningly beautiful, private, gated community offering the best real estate that the island can offer. Beautiful island-inspired architecture with a wide array of community amenities, located just a short drive from world-class golf, shopping, restaurants and casinos in nearby Lucaya. 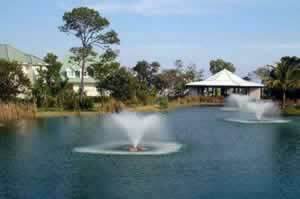 Spanning 26 tropical acres along a pristine coastline, Shoreline is the perfect community to call home. 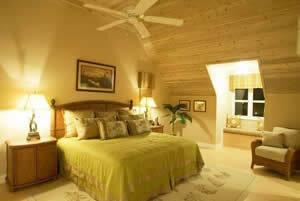 Seventy-six Bahamian-style homes are clustered in charming, intimate groupings. 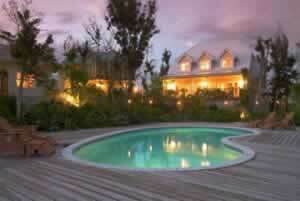 There are views of the sparkling pools, the central lake, lush landscaping and the ocean. Community amenities, including a clubhouse with a fully equipped gym, three tennis courts, a lap pool and easy beach access, are all within strolling distance. Every aspect is meticulously maintained: landscaping, gardening, pool cleaning and daily refuse collection are all taken care of. This is carefree living in a tropical paradise. 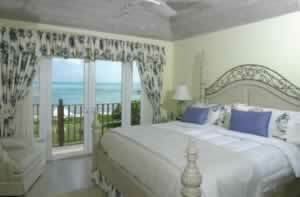 Each luxuriously appointed Shoreline home reflects a decidedly island flair. Colourful Caribbean-toned exteriors, sloping metal roofs, and sweeping porches, verandas and balconies define these casually elegant homes. Designer touches and modern amenities abound. Fully air-conditioned, each home has an elegant kitchen and bathrooms, including granite countertops, marble tile floors and high speed internet access. The decks and balconies provide all the space you need for the barbeque, alfresco dining, evening cocktails, or just to soak up the sun or sit in the shade with a good book. The gardens at Shoreline are one of the main attractions. Beautifully landscaped and maintained by its own team of professional gardeners, they provide a visual feast. Swaying palms, sweeping lawns, perfumed blossoms and even the occasional mango tree attract humming birds and butterflies. The lake is home to fish and terrapins, and is the favorite haunt of the beautiful local herons. If a beautiful home in a tropical paradise isn’t enough for the discriminating buyer, Shoreline offers fabulous lifestyle amenities that make staying home a very attractive option. Just beyond Shoreline’s gated entry, a gracious clubhouse is the perfect place for large gatherings. 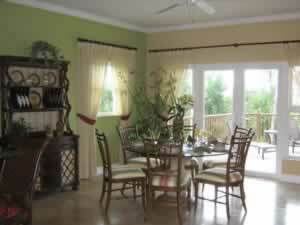 It houses the main reception area and fully equipped, air-conditioned gym and fitness center. Step outside the clubhouse onto a large verandah and you can set your sights on a game of tennis or swimming a few laps in the two-lane lap pool. If lounging by the pool is more appealing, relax at the infinity-edge pool with views down to the beach, complete with a waterfall and adjacent hot tub. For a more private swim, each enclave boasts its own neighborhood pool, perfect for intimate gatherings of family and friends. For beach lovers, Shoreline’s private stretch of coastline is perfect for snorkeling, playing in the surf or gathering shells. The ocean offers every possibility from kayaking to kite surfing, from paddle boarding to deep-sea fishing. A special feature of the island is the bone fishing – fly fishing in the shallows for some of the best sport fishing in the world. 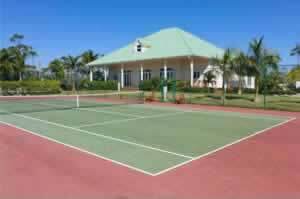 From a fast game of tennis to relaxing by the pool, you’ll discover a tropical paradise home that you will never want to leave. If you do leave, the local team can look after your house and the amenities, so that when you return, everything is as you left it and life in paradise begins again. Shoreline is just a 30-minute flight from Florida and only eight hours from Europe, making it a perfect destination hideaway. Shoreline is within easy reach of Lucaya, a bustling market place with hotels, full-service marina, shops, excellent dining and an exciting nightlife. 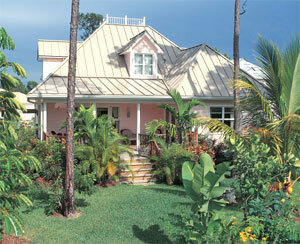 Nearby Freeport, the island’s main town provides good food shopping and everything else you may need. 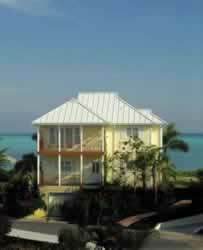 The Bahamas’ tax-free status makes it easy to own a luxury Shoreline home and enjoy it for several years or keep it in the family forever. There are no taxes on capital gains, inheritance, personal income or corporate earnings. 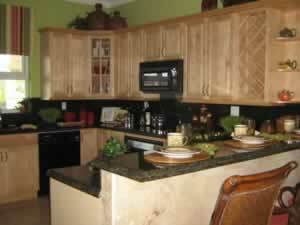 The houses are reasonably priced compared to Florida and it is no surprise that the purchase decision is easy. Buying a home at Shoreline is a stress-free experience, thanks to the on-site realtor. This professional will work closely with potential homeowners every step of the way to ensure that your new island home captures everything your heart desires. Don’t let this opportunity to own a home in paradise pass you by. Use our contact page to register your interest and our on-site professional realtor will contact you in complete confidence. Your interest will be treated with respect and you will not be, or feel, pressured in any way. A tropical, secluded paradise awaits your discovery. Enjoy life in the slow lane, sipping cocktails with friends on your own back porch or strolling along miles of unspoiled beaches gathering shells. Or grab some uniquely Bahamas-style action. Swim with dolphins, snorkel in the crystal blue sea or treasure hunt in colorful marketplaces and eclectic boutiques. From the tropical splendor of your own home, to the warm waters of the Caribbean, to the humming streets of Lucaya, the Shoreline lifestyle is the perfect way to relax and recharge. The warm waters of the Caribbean are one of The Bahamas’ favorite attractions. Some of the best game fish in the world are to be found just offshore, where avid sports fishermen search for sailfish, blue marlin, tuna, wahoo and mahi-mahi. Fly-fishing for bonefish is world class, with a thriving, catch and release population and stunningly beautiful, unspoilt surroundings. The island is a spectacular destination for bonefishing. If you prefer an underwater experience, The Bahamas’ world-renowned reef system provides an ever-changing adventure for snorkelers or divers. Unexso is a top class diving school in Lucaya that offers a full service of training and daily dive excursions. On-shore activities range from fast-paced casino action to family attractions like horse riding along a nearby beach or cycling the miles of well-made roads with little traffic and no hills! There are excellent dining venues from the Banana Bay beach bar and restaurant at the end of the beach to top quality restaurants in Lucaya. If golf is your game, there are three courses to test your skills. You can also enjoy tennis at home in the Shoreline community. There are few places left where you can purchase oceanside property within a stable economy without incurring a hefty tax bill. In Grand Bahama, you can. 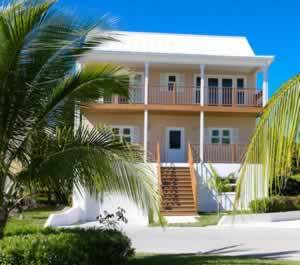 The Bahamas are known throughout the world as a tax-free haven for personal property, income and investments. 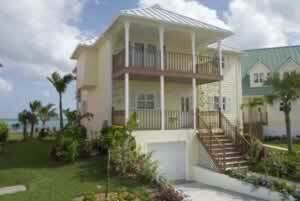 Individuals who purchase real estate are entitled to annual residency, which permits unlimited entry into the country. Individuals are also entitled to apply for Permanent Residency. 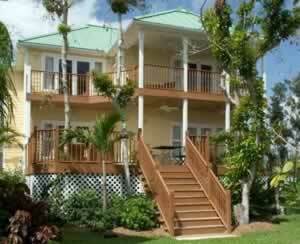 There are no minimum residency rules requiring residents to spend a minimum period in the Bahamas each year. The entire purchasing process is simple. Financing is available through highly reputable banks. A representative will walk you through the purchasing process and current financing opportunities. 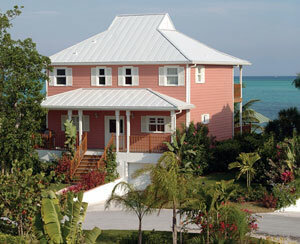 According to Shoreline residents, one of the best things about the Bahamian lifestyle is enjoying your own beautiful home in a tranquil seaside community. 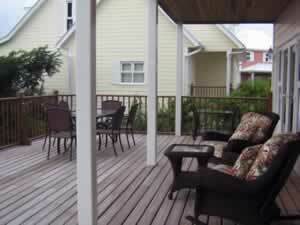 At Shoreline, front porches mean sharing pitchers of lemonade with neighbors and back porches mean catnaps and lounging in the shade. Copyright © 2015 ShorelineBahamas.com. All Rights Reserved.